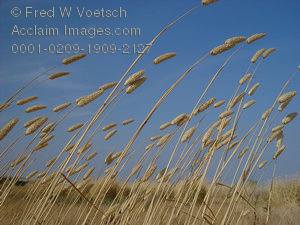 Description: Wind blowing grass against a blue sky. Northern California. The impact of this image is much greater at full resolution because of the detail and clarity of the image. Good in black and white also.